Often, the elements of intentional infliction of emotional distress Florida are plead as a companion to a breach of contract complaint/lawsuit. What many plaintiffs do not realize, and what many defendants do not know about this cause of action, is that it is infrequently proven. The elements of intentional infliction of emotional distress in Florida are not easy to prove because the burden of proof is extremely high. As we go through the elements of intentional infliction of emotional distress Florida, think about situations that may rise to the level of intentional infliction of emotional distress, and scenarios that likely do not cross the threshold. The level of proof required may surprise you. (4) the emotional distress was severe. Deauville Hotel Mgmt., LLC v. Ward, 219 So. 3d 949 (Fla. 3d DCA 2017). Keep in mind that if even only one element is not proven by the plaintiff, or if even one element is disproven by the defendant, it may be reversible error for the court to rule in the plaintiff’s favor. All four elements must be shown to prove that the intentional infliction of emotional distress has occurred. The factual predicate of the case cited above, Deauville Hotel Mgmt., LLC v. Ward, provides insight into what sort of a claim a court will entertain when a plaintiff pleads and seeks to prove the elements of intentional infliction of emotional distress in Florida. In this case, a married couple sued a hotel that hosted and catered their wedding. The couple sued the Hotel for breach of contract and intentional infliction of emotional distress. These two causes of action are often plead together. The Hotel’s alleged infliction of emotional distress resulted from management moving the couple’s wedding reception from the hotel ballroom to its lobby. One can imagine this could be painful for a couple that had planned their dream wedding, had been thwarted through no fault of their own, and had little time to resolve the situation. Nevertheless, the Court decided that the plaintiffs’ “subjective response to the allegedly outrageous conduct does not control the question of whether the tort of intentional infliction of emotional distress occurred.” This means that the elements of intentional infliction of emotional distress in Florida must be proven based on an objective, reasonable person standard, and not analyzed exclusively based on one person’s individual and unique reaction to an event. This makes it difficult to prove one has undergone severe emotional distress. Traditionally, it has been precedent in Florida that for one’s actions to rise to the level of intentional infliction of emotional distress, those actions must be shown to be “so outrageous in character, and so extreme in degree, as to go beyond all possible bounds of decency, and to be regarded as atrocious, and utterly intolerable in a civilized community.” When words such as extreme, atrocious, and intolerable are used, expect the court to require more than mere hurt feelings from a plaintiff. Perhaps most surprising to potential clients that call our Firm is that “For one’s actions to rise to the level of intentional infliction of emotional distress, it is not enough that the defendant has acted with an intent which is tortious or even criminal, or that he has intended to inflict emotional distress, or even that his conduct has been characterized by malice, or a degree of aggravation which would entitle the plaintiff to punitive damages for another tort.” Deliberate conduct on the part of a defendant that knows the plaintiff will be hurt is not enough to prove the elements of intentional infliction of emotional distress Florida. Imagine, criminal intent alone is not enough on its own to prove this cause of action. Instead, the defendant’s conduct must transcend all bounds of decency in civilized society. Jonathan Jacobs is a breach of contract attorney Orlando, and a breach of contract attorney in Lake County Florida. 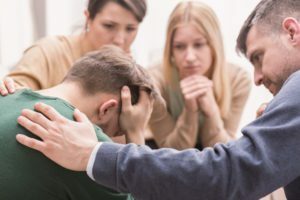 If you would like to seek legal help to prove the elements of intentional infliction of emotional distress in Florida, or to defend against a plaintiff claiming emotional distress, call us for a consultation.